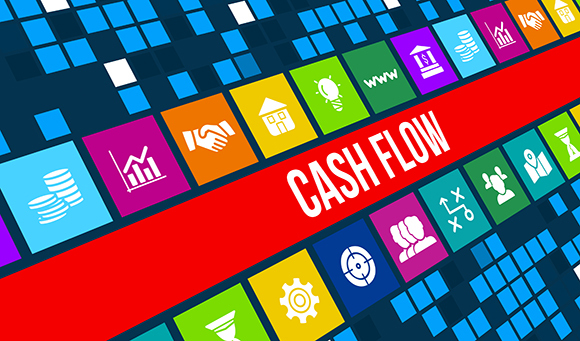 Late payments from your customers can be the most frustrating obstacles when managing cashflow as they are difficult to predict. And while one late payment can be inconvenient, letting them continue over time can eventually have a negative impact on a business’ long-term survival. Even the smallest cashflow hiccups can seriously disrupt a business’ growth plans and frustrate employees and suppliers if they are not paid on time, or even prevent you from paying your business’ fixed operating costs. So, what preventative steps as a business owner can you to take so your cashflow avoids the pitfall of a late payer. Very few businesses go to the trouble of checking a client’s credit history, and that can turn into an expensive mistake. Businesses need to convert leads to sustain and grow their operations, but that doesn’t mean a firm should necessarily agree to do business with anyone who comes through the door. Untrustworthy customers can quickly start costing a business dearly. Run a credit check on potential or current customers to find out whether they have a history of late or missed payments, so any measures can be taken to minimise risk to your business. Relying on single large invoices when any projects are finished often presents a risk. Instead, invoice clients regularly for partial amounts that you agree in advance with the customer. Although extra paperwork sounds unnecessary, it can make a huge difference. If a customer misses a payment deadline, you can cut your losses by stopping work rather than facing in a non-payment situation when the whole project is complete. Also, smaller sums are easier for a customer to find at any given time, meaning you’re more likely to be paid on time, even if a customer is dealing with their own cashflow issues. If a client needs to make regular payments to you, setting up a recurring payment plan will enable you to collect these payments automatically, increasing cashflow certainty and aiding customer retention. Direct Debit is even suitable for variable collection amounts helping you run your business effectively. Direct Debit is the most well-known and trusted payment method for businesses of all shapes and sizes, with 9 out of 10 British adults having at least one Direct Debit and 22 billion transactions processed in 2016. By working with London & Zurich, TaxAssist Accountants has been able to negotiate a special arrangement and can offer it to you in a very cost effective way. Kevin Morgan, Managing Director, of London & Zurich, said: “The impact of late payment on small businesses can be immense, but can also be easily avoided. The use of Direct Debit provides efficient, reliable cashflow, which is the life blood of any small business. One of the simplest ways to ensure your customers pay you promptly is by making it as easy as possible and enabling them to pay the way they prefer. The popularity of payment by card has increased significantly over the last decade; in 2006, we saw 6.5 billion purchases made by credit or debit card, in 2016 this figure was at almost 15 billion. And with new payment technology being introduced constantly, experts predict that by 2025 the use of cards will overtake all other non-cash payment methods combined. There are various ways to accept payment by card, traditional solutions use a card payment terminal (PDQ) which allows payments to be taken in person or over the telephone – particularly useful when chasing late payers. Another great option is ‘pay by link’, this solution allows you to add a link to your invoices before you send them out, your customers can then simply click on the link and make a card payment online instantly. Choosing the right card payments solution can be a complicated process so TaxAssist Accountants has partnered with acceptcards – a specialist, independent card payments broker. The team at acceptcards are experts in sourcing the right solution, at the right price, and are always on hand to review existing card payment charges or simply provide advice and assistance. If you would like help with your cashflow projections or are interested in any of the preventative measures, call your local TaxAssist Accountant on 0800 0523 555 who has relationships with several partners they can recommend. Alternatively, you can submit an online enquiry here.